Such attributes and information seeking is coveted by the Silicon Valley startup culture, always looking for some form of mental hack or emotional optimization. At a recent Ted Talk Tim Ferriss touted “fear setting,” a stoic exercise using negative thinking, he published the Tao of Seneca and Ryan Holiday has written a book popular with NFL coaches, athletes and celebrities that draws its inspiration directly from stoicism. Stoicism is a philosophy that emerged in a world full of war, political crisis and unrest. Invented in Athens in the early 3rd century, it offered a path to inner peace and happiness in the midst of it all. Stoics taught no one could touch the soul or the self. ALL else is outside of your control. Simple idea, yet difficult to live out. How many times do we act as if we can control things we really cannot? We worry or complain hoping for some magical impact to the outcome. According to the Stoics, that is a source of mental tribulation and according to psychology, neurosis. The challenges I faced trying to apply the dichotomy of control, among other stoic practices, revived my interest in the philosophy a couple of years ago. 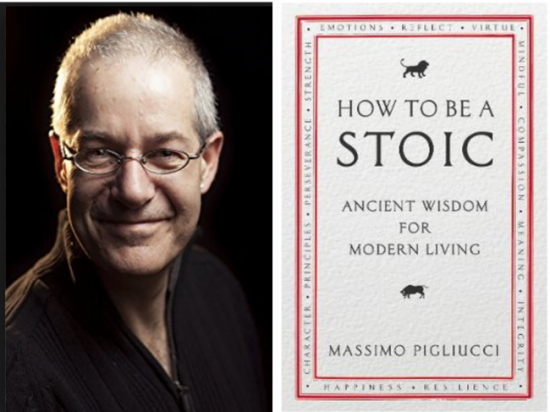 The more I explored however, the more questions I had so it was a real privilege to talk with philosopher–scientist Massimo Pigliucci, the author of the recently published How to Be A Stoic: Using Ancient Philosophy to Live a Modern Life. Prof. Massimo Pigliucci is the K.D. Irani Professor of Philosophy at the City College of New York. Prof. Pigliucci has published in national and international outlets such as the New York Times, Washington Post, Philosophy Now and The Philosopher’s Magazine, among others. At last count, he has published 152 technical papers in science and philosophy. This is no boring philosophy discussion. The majority of our conversation is about Stoicism’s real world practicality especially in dealing with life’s ups and downs, including an interesting discussion about death and how he overcame that fear. If you’re new to Stoicism and want to know more here is your lesson with the Professor. 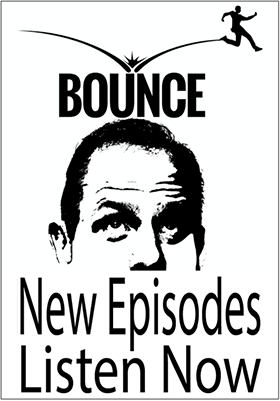 Give it a listen and fortify your mind. [00:52:25] On the fear of death.